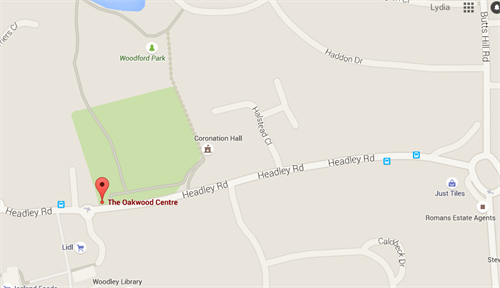 You can park opposite the centre at the Headley Road pay & display car park, or at Woodford Park Leisure Centre (off Haddon Drive) free of charge, a short walk through the park to The Oakwood Centre. The Council Offices are based at the Oakwood Centre. Monday – Thursday 9am – 4:30pm.